The camping part of our holiday is now pretty much over. We only have to put the tent up once more when we get back to Dunkirk at the end of the week to catch the ferry home. 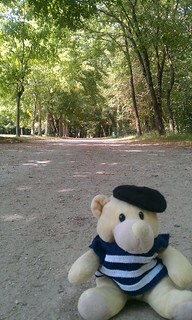 Today we are moving south to the Loire Valley and a caravan at Parc Des Alicourts in Pierrefitte Sur Sauldre. What a lovely caravan…we’ve got a little balcony and everything. 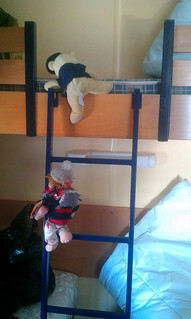 As soon as the door is open I have to run pretty quick so I beat Chipper to the top bunk. 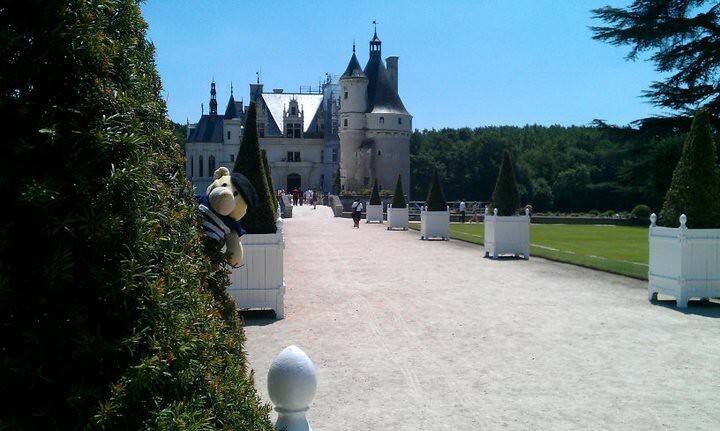 Our first day trip was out to Château de Chenonceau. 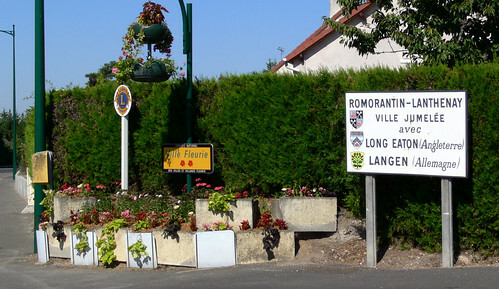 Eddi had seen some photos of a pretty village called Romorantin-Lanthenay on the way so we went to look … who knew that it was actually a twin town with home?! What are the chances of driving utterly by chance through a town twinned with home – we had to turn round to go and check the sign. Overlooking to Sauldre river and the old mills which are now the museum of the Sologne. 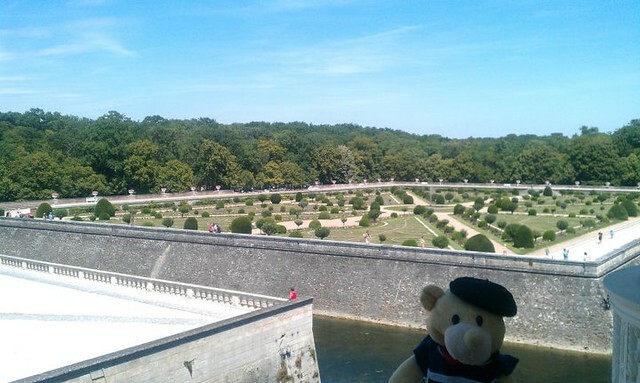 And so back in the car and on we go to Chateau de Chenonceau which is very pretty indeed. It is having extensive restoration work done so there is a lot of scaffolding around parts of the castle. It is also really, really hot today so walking about outside is pretty hard work. 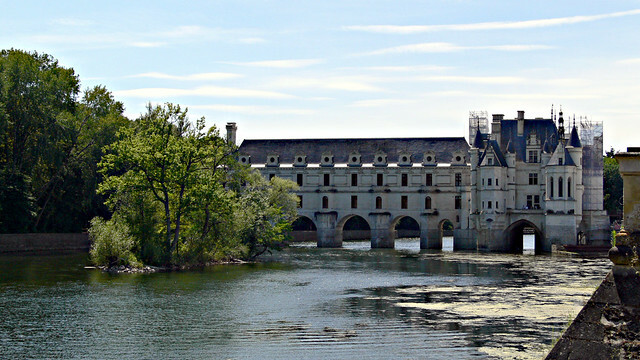 Chenonceau is a small château with a really big history. There are so many really interesting stories which you can read about here. 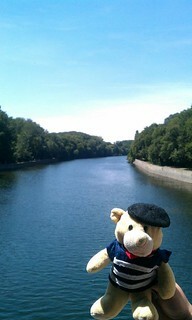 The view along the river Cher from the gallery on the bridge. 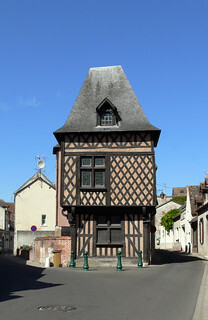 The château spans the river Cher with the gallery built upon the old bridge. Even with the scaffolding it’s quite an impressive view. 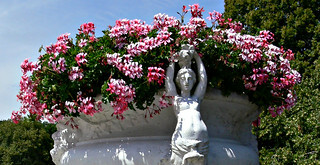 There are loads of these huge planters along the wall of the garden. It’s a lot cooler here in the woods than out in the full sunshine so I decide to sit down in the middle of the path and cool off. 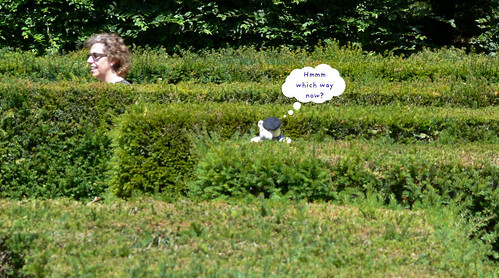 Now the hedges in the maze at Chenonceau are not that tall, but it’s still a challenge when you’re tiny like me. I wonder if that lady will help me? Well, that’s it for another day. The next trip on the agenda is to see the Pont Canal de Briare built by the same chap who built that humungous tower in Paris. Thanks for joining me on my travels. Love the post, and the whole premise of the blog is just too sweet for words! I’ve followed!